All of PhotoTouch’s pages and microsites are mobile friendly and IOS and Android compatible. 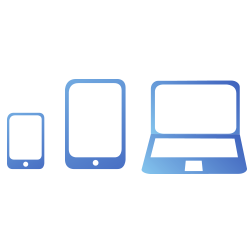 You won’t have to worry about trying to find the right devices to run our software – we provide all necessary hardware and can customize our software it to work on any smartphone, tablet or laptop. Our app also provides a quick and easy way for companies to take, process and custom-brand photos for guests.